When I released my second episode in my podcast series PWA hooked up with me for an interview about my winter training in South Africa. I'm stoked about how it came out and you guys can read it here or below. PWA: Where did you spend your winter training? PWA: What made you choose Cape Town this time? PWA: Was it your first time in Cape Town? PWA: What was your impression of the place? The sailing and the general atmosphere of the place? PWA: What were your goals in CT? and how did they go? PWA: Favourite spot you sailed in CT? PWA: Do you think you will return? PWA: You also recently changed to Simmer…how are you finding the new equipment? PWA: What are your goals for the next year and the future? 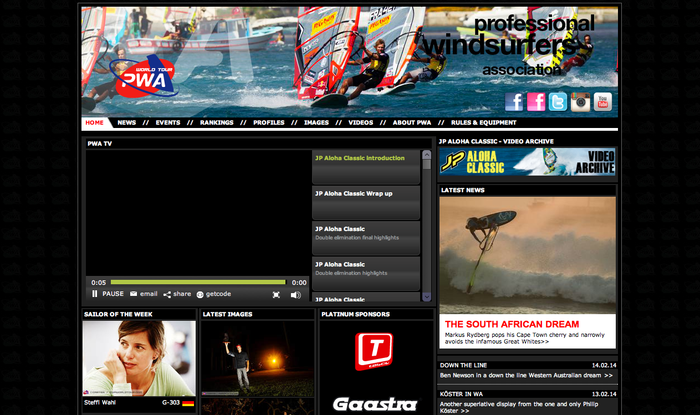 PWA: All sounds great, thanks Markus and good luck over the coming months.